Discover More – Start Here! 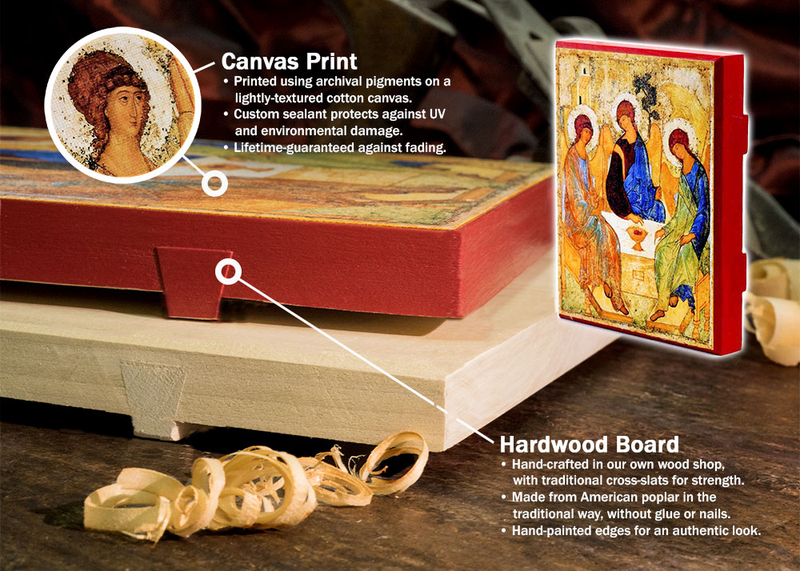 Our Classic icons are hand-crafted in our wood shop from durable 3/4 inch MDF boards with a real wood veneer. 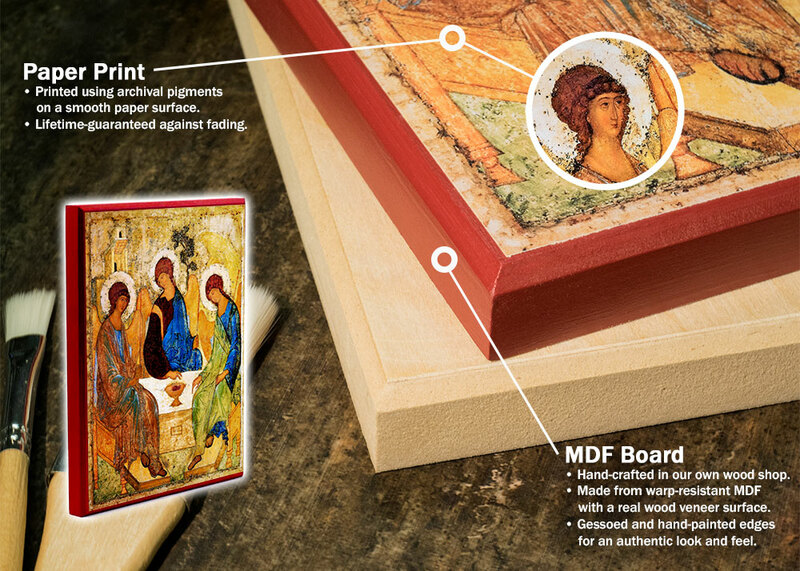 They are gessoed and painted by hand, similar to traditional icons. Your chosen icon is printed on archival-quality paper using our exclusive process. Lifetime-guaranteed not to fade. Our Masterpiece icons are hand-crafted in our wood shop from 1 inch poplar lumber grown in renewable American hardwood forests. Cross-slats are set in place for a traditional appearance, without nails or glue, reducing warping. Your chosen icon is printed on fine-quality cotton canvas and sealed using our exclusive process. Lifetime-guaranteed not to fade. Allow up to 10 business days for production. Our exclusive Protective Wax option is available on our Classic and Masterpiece icons. 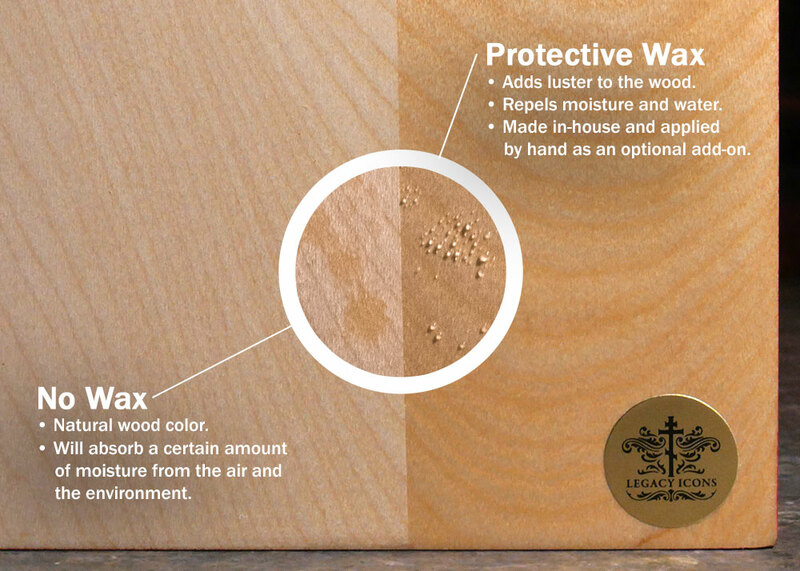 It is made in-house from beeswax, a mixture which binds with the pores in the wood to help prevent moisture from entering and causing the wood to warp. It also adds an attractive luster to the wood.